Everyone loves a great photo; what would social media be without those crazy snaps documenting special moments? And for someone turning 30, that special moment deserves proper documentation, after all what’s a 30th birthday without a bunch of crazy pictures? 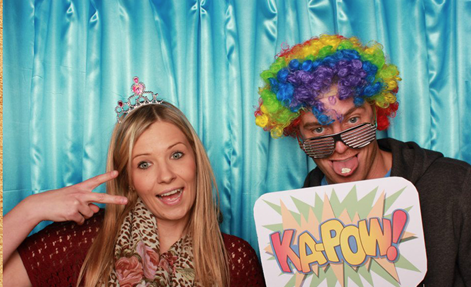 As a means of getting the party started, hiring a photo booth for the night is a great way to begin. Fun, inclusive, complete with props, there’s everything you and your guests need to have a great time, not to mention make your party a night to be remembered! With the ability to take home all your pictures the same night, you can spend the day recovering from your epic 30th reviewing pictures of your friends and family steadily getting more and more silly and creative with the props on hand. You’ll have the kind of guestbook that will make you the envy of all your friends, better than a simple autograph. Watch as even those who won’t cut a rug on the dance floor are talked in to donning a wig and glasses, then print out the picture for prosperity! Put together your own story using great visuals captured throughout the night and hire a photo booth to really get your party started. Create hilarious pictures with friends and family and make the most of your birthday, it’ll help create a night you’ll never forget!